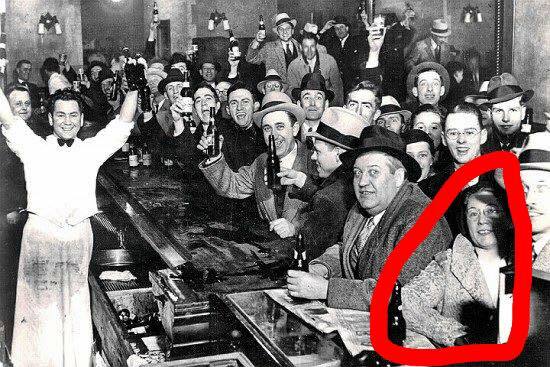 This is a photo from the day Prohibition ended in 1933. When I first saw it, I nearly fell out of my chair. The lady circled in red is my Doppelganger! My eye found her first…very shocking.